After doing a not-so-stellar job of updating its best smartphones to Android Oreo, LG promised substantial software support improvements that are already starting to materialize. The company’s recently established Software Upgrade Center may help both the LG G7 ThinQ and V40 ThinQ to receive (relatively) timely official promotions to Android Pie. Of course, the LG G7 One has already made the jump from OS build 8.1 to version 9.0 thanks to its use of “pure Google” software. The G7 ThinQ will probably be next in line, as suggested by a public beta program kicked off in Korea yesterday. Regardless of their wireless service provider, local users of the “notchy” 6.1-incher can now preview a rough set of Pie goodies, helping iron out the kinks with forum comments that LG plans to listen to. There’s obviously no telling how fast these beta tests will conclude, but we can reasonably expect a stable update rollout in just a few weeks in Korea, followed shortly by a global expansion. What seems crystal clear is the G7 ThinQ will be able to score its first major OS makeover far quicker than the LG G6, which waited until April to leave Nougat behind in the company’s homeland, while US carriers got the ball rolling the following month. The official Android 9.0 Pie update for the LG V40 ThinQ shouldn’t be too far away either, seeing as how the phone is already being benchmarked running the new platform version. 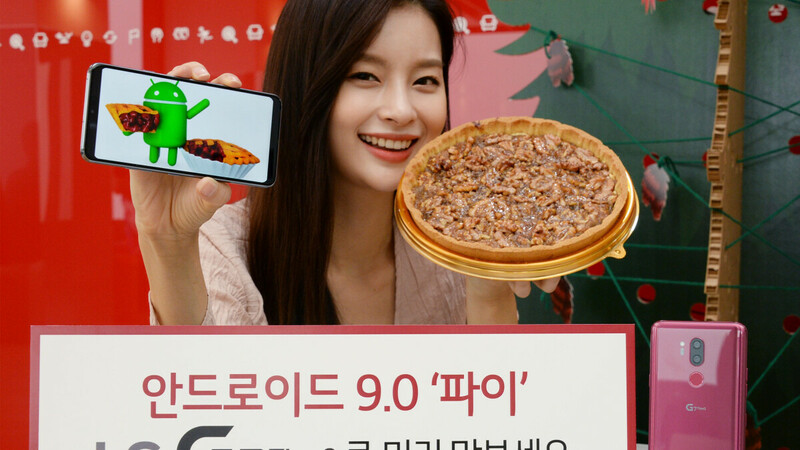 That basically means someone on the inside is trying to assess the performance boost delivered by these sweet Pie treats on LG’s latest flagship handset, which in turn suggests the V40 ThinQ could soon get its own Android 9 public preview. Too bad these betas are always regional affairs. Doesn't make sense at all that you guys gave the V40 a 7 while other phones are 8.5 (which by the way don't offer as much as the V40) and above.